In August, 2016, UNM-Taos, in partnership with the University of New Mexico (UNM), began admitting BSN students into the statewide common curriculum through participation in the New Mexico Nursing Education Consortium (NMNEC). Students in the UNM partnership BSN program of study (POS) will graduate with an associate degree in nursing (ADN) from UNM-Taos and with a baccalaureate degree in nursing (BSN) from the University of New Mexico (UNM). They will be eligible to take the NCLEX-RN examination for licensure as registered nurses (RN). The NMNEC BSN pre-requisites, co-requisites, university specific courses and the program of study are available in the UNM-Taos Nursing Department. Please contact Barb Wiard, bwiard@unm.edu, for more information about the nursing program. Students who complete the Associate Degree in Nursing (ADN) program will be eligible to take the National Council Licensing Examination (NCLEX-RN) for licensure as Registered Nurses (RN). Program graduates may continue their education towards a baccalaureate degree in nursing (BSN) at select four-year institutions. Nursing is a selective major. Specific requirements for both ADN and BSN programs must be met in order to apply to the nursing program. For additional information contact a UNM-Taos student advisor (575-737-3750) or the Nursing Department (575-737-3745). The nursing program class and clinical sessions are mainly held during the daytime hours. 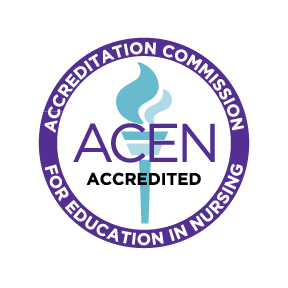 formerly National League for Nursing Accrediting Commission (NLNAC), Inc.